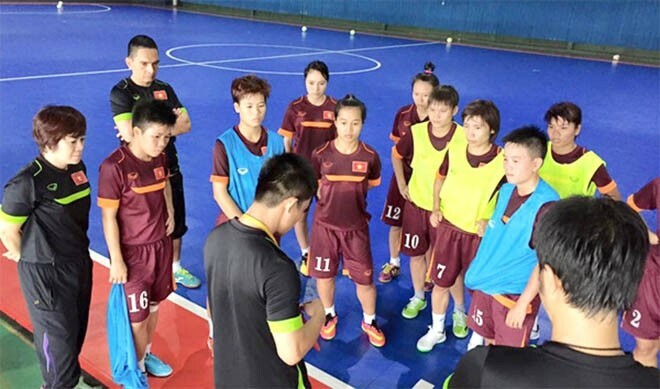 HA NOI (VNS) — The Viet Nam national women's futsal team defeated Malaysia 9-2 in a friendly match during their training session in Malaysia on Wednesday. Nguyen Thi Thanh opened the score for the visitors, but the hosts scored quickly to lead by 2 to 1. Before the interval, Viet Nam scored five more goals to raise the score to 6-2. After the break, the hosts attacked to level the score, but failed, while the visitors bagged three more goals. The two teams will play again today. Viet Nam aim to win a semi-final spot at the coming 2015 AFC Women's Futsal Championship that will be held in Nilai, Malaysia, from September 21 to 26.